Sometimes, simplicity is key. That’s why whoever named Donnie Wahlberg’s new docuseries only had to go from A to A to find the perfect title. According to Variety, the Blue Bloods star will host HLN’s newest addition to the true-crime craze, Very Scary People. As you might have immediately deduced, the six-episode show dedicates each two-hour installment to some very scary people, including Charles Manson, John Wayne Gacy, Peoples Temple cult leader Jim Jones, Aileen Wuornos, and the Zodiac. As the network is owned by CNN, Variety says, the show will draw from CNN’s archival footage to create a mini-deep dive into each VSP (very scary person.) “I don’t think an audience can really rationalize why someone would do the things that these people do,” said Wahlberg. “We are not trying to glorify what these people did. We are trying to help the viewer understand it.” The more we read about the series, which debuted with its Gacy episode on Sunday, the more we have to ask: why isn’t every true-crime show just named Very Scary People? That’s what we’re all here for, isn’t it? 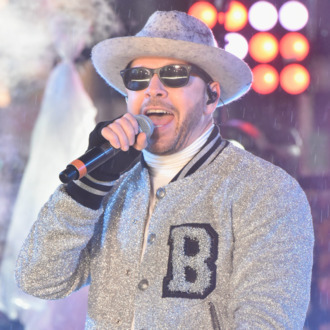 Donnie Wahlberg is just more honest about it.